Home / Asia’s Got Talent / Gerphil Flores / Kris Aquino / Pinoys Got Talent / Television / Gerphil Flores: Did Kris Aquino Erred in Her Judgement on Her? Gerphil Flores: Did Kris Aquino Erred in Her Judgement on Her? Before she became known as Gerphil Flores, she was Fame Flores and auditioned for Pinoy’s Got Talent. Unfortunately, she did not reach the grand finals round as she was eliminated by singing a classical song, which Kris Aquino, one of the judges in that reality TV show deemed not age appropriate. Of course, at that time her opinion was respected, nobody took notice and Filipinos moved on to the next edition of this supposed ultimate talent show in the country. Until Asia’s Got Talent was launched and Fame Flores reappeared. This time she is known as Gerphil Flores and did not succumb to temptation of following the “age appropriate” song the self proclaimed Queen of Multi-Media suggested. She sang classical music and this time, she was reward with a golden buzzer and standing ovations. Even David Foster was so impressed with her that he was the first one to give her the golden buzzer and gave Flores outright slot in the semi-finals. The grand finals performance for this regional talent show was last week and Gerphil Flores along with three other Filipino acts were in the running for the crown. This time, the spotlight is no longer claimed solo by Kris Aquino but Flores gained sympathizers. Suddenly, the tables are turned and Kris Aquino became the ultimate bully instead of being a well rounded judge. 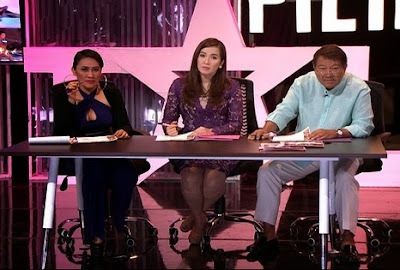 Filipino netizens took turn on lambasting the presidential sister that she has no right to sit as judge in the Philippine version of the same talent show where Flores is a grand finalist at the more widely covered Asian version. 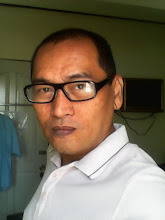 Indeed, these Pinoy netizens are correct when they are questioning right now what right does Kris Aquino had in order to decide that one talent is good over the other. In the first place, she doesn’t have good singing voice, she is just a competent actress, and she is just a good TV host due to lack of competition or recognition for others better than hers. In other words, compared with other judges around the world, she should not sit as one of the judges. If you are familiar with different editions of this talent show around the world, those who sat as judges were record producers, singers, performers, actors, and even actresses. By virtue of this category, Kris Aquino may have a rightful position to sit as a judge but the real question is that if she has the right taste, instinct, and quality decision making to determine which contestant really got talent. So far, winners of the Philippine version of this talent show has yet to make a mark in Philippine showbiz the way Nora Aunor did or just the way Sarah Geronimo or Regine Velasquez did after winning the respective talent shows they entered. With this, it is just right for Pinoys to evaluate if Kris Aquino deserves to sit as judge as it is the TV viewers who are the ultimate judge because they are the ones who will patronize records, movies, and other multi-media output of the winners. Note: It is normal for humans to err in their decision. Kris Aquino erred in her judgement so were the Tawag ng Tanghalan judges who eliminated Nora Aunor on her first attempt in that amateur singing contest of long ago. "Did Kris Aquino Erred in Her Judgement on Her?" Is this a trick question? OF COURSE SHE DID, like every other thing she does that makes the headlines. STD queen assume all Filipinos are like her, not ready for classical music, culture and the finer things in life. It's like saying Filipinos should just settle for masa, cheap, unintelligent crap...she is everything what is wrong with the Failippines! as one friend of mine said, this girl is a study on contradiction. She is not beautiful but she got endorsements of several beauty products. She is not poor but,oh my she knows hot to provoke the hoi polloi.